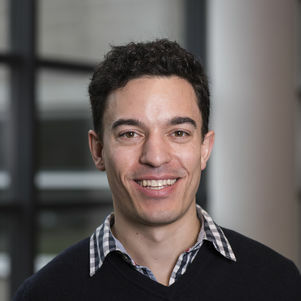 Scott Robbins is a PhD candidate in the ERC Advanced Grant research project “Global Terrorism and Collective Moral Responsibility” headed by Professor Seumas Miller. In his PhD project, Scott will investigate and evaluate bulk data collection as a counter-terrorism tactic in liberal democracies. He also researches ethics and robots and is an organizing committee member of the Foundation for Responsible Robotics (responsiblerobotics.org). Prior to joining TU Delft in January of 2017, Scott was a researcher at the Free University of Amsterdam. He received his Masters of Science in Ethics and Technology at the University of Twente, The Netherlands and his Bachelors of Science in Computer Science at California State University, Chico. He worked as a computer scientist for Chevron Corporation, Harborview Medical Center in Seattle, and AquaStar. Van Wynsberghe, A., & Robbins, S. (2014). Ethicist as Designer: a pragmatic approach to ethics in the lab. Science and engineering ethics, 20(4), 947-961.